500 Mile Chai(2.0 oz can): One of our most popular teas. 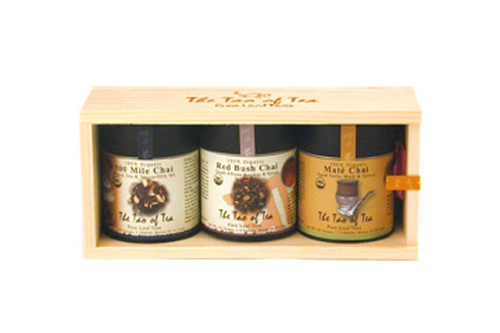 Includes small leaf black tea (CTC), dried ginger, cardamom, cloves and cinnamon. Red Bush Chai(1.5 oz can): An uplifting blend made with caffeine free South African Rooibos, cloves, cinnamon, cardamom and spearmint. Mate Chai(1.5 oz can): A blend of Yerba Mate, cloves, cinnamon and cardamom. 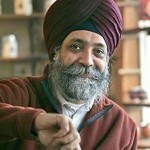 Veerinder Chawla started The Tao of Tea with a love for the leaf. While travelling in the Himalayan Mountains of India he dreamed about the possibilities that tea offered. For Veerinder, it started a journey into the essence that tea exudes and the cultures it connects. The dream evolved into a business. Over the years, He has been joined with people that share a similar love and philosophy about tea. Their commonality is based on recognizing the purity in the leaf, the surroundings it grows in and the people who nurture it. The Tao of Tea focuses on collaborating closely with several tea growers and farmers in various countries, including India, China, Taiwan, Japan, Sri Lanka and Vietnam.